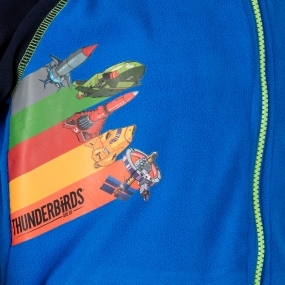 The boy's Hyperspeed Fleece from Regatta for Thunderbird fans across the galaxy. Made from warming, brushed back Symmetry fleece fabric with two lower pockets and a chunky zip fastening. With the Regatta embroidery on the chest.